It's frustrating when you get an error after sending an email message. This topic describes what you can do if you see error code 5.7.1 in a non-delivery report (also known as an NDR, bounce message, delivery status notification, or DSN). This information also applies to error codes 5.7.0 through 5.7.999. This information also applies to error codes 5.7.0 through 5.7.999 in Exchange Online and Office 365. There can be several causes for dsn error code 5.7.1, for which solutions are provided later in this topic. You don't have permission to send to the recipient. The recipient is a group, and ou don't have permission to send to the group or one of its subgroups. You don't have permission to send email through an email server that's between you and the recipient. Your message was routed to the wrong email server. If the recipient is external (outside of your organization): Contact the recipient (by phone, in person, etc.) and ask them to tell their email admin about your email delivery problem. Their email admin might need to reconfigure the recipient's mailbox so it accepts email from you. Outlook: Select the NDR, double-click the group name on the To line, and then choose Contact. Outlook on the web: Select the NDR, choose the group name on the To line, and then choose Owner. Messages sent to the group require approval by a moderator. To resolve the issue, join the group, or ask the group's owner or moderator to approve your message. Refer them to the I'm the owner of a restricted group. What can I do? section later in this topic. If none of the previous steps apply or solve your issue, contact the recipient's email administrator, and refer them to the I'm an email admin. How can I fix this? section later in this topic. I'm the owner of a restricted group. What can I do? Add the sender to the group's allowed senders list. Note that you must create a mail contact or a mail user to represent the external sender in your organization. If the sender is restricted because they're external (outside your organization), configure the group to accept messages from external senders. 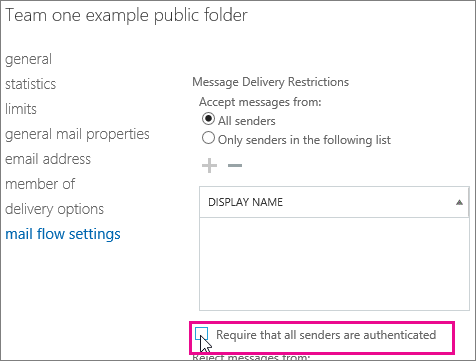 If you've configured a mail flow rule (also known a a transport rule) to restrict certain senders or groups of senders, you can modify the rule to accept messages from the sender. Large messages can't be sent to the group (but you'll receive a different NDR from this one if that's the issue). See Exchange Online Limits. To resolve the issue for the sender, approve their message, or add them to the group. If the steps in the earlier sections don't solve the issue for the sender, the solution likely requires action by the recipient's email admin. The scenarios and solutions are described in this section. If only this recipient is having difficulty accepting messages from external senders, configure the recipient or your email servers to accept messages from external or anonymous senders. To remove the restriction on the sender's source email system, forward the NDR message to delist@messaging.microsoft.com. Verify your domain appears as Active in the Office 365 portal at https://portal.office.com. For information about adding your domain to Office 365, see Domains in Office 365. To troubleshoot domain verification issues, see Microsoft Knowledge Base article KB2515404. Check the sender and recipient domains for incorrect or stale MX records by using the Advanced diagnostics > Exchange Online test in the Microsoft Support and Recovery Assistant for Office 365. For more information about the Support and Recovery Assistant, see Fix Outlook and Office 365 issues with Support and Recovery Assistant for Office 365. Check with your domain registrar or DNS hosting service to verify the MX record for your domain is correct. The MX record for a domain that's enrolled in Exchange Online uses the syntax <domain>.mail.protection.outlook.com. Verify MX Record and Outbound Connector Test at Office 365 > Mail Flow Configuration in the Microsoft Remote Connectivity Analyzer. Verify you have only one MX record configured for your domain. Microsoft doesn't support using more than one MX record for a domain that's enrolled in Exchange Online. The Sender Policy Framework (SPF) record for your domain might be incomplete, and might not include all email sources for your domain. For more information, see Set up SPF in Office 365 to help prevent spoofing. 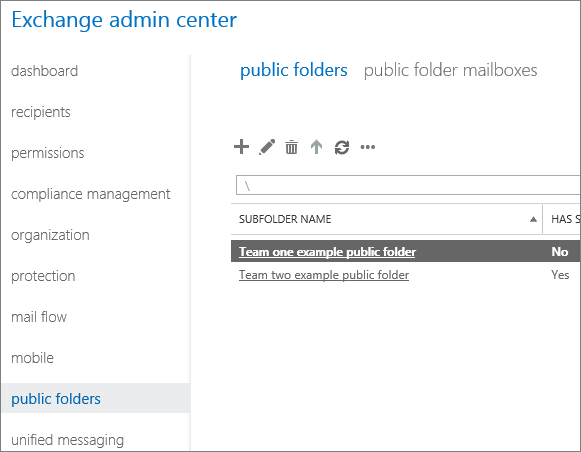 If your domain is part of a hybrid deployment between on-premises Exchange and Exchange Online, the Hybrid Configuration Wizard should automatically configure the required connectors for mail flow. Even so, you can use the steps in this section to verify the connector settings. Open the Office 365 portal at https://portal.microsoftonline.com, and click Admin > Exchange. Delivery: If Route mail through smart hosts is selected, confirm the correct IP address or FQDN is specified. If MX record associated with the recipient domain is selected, confirm the MX record for the domain points to the correct mail server. You can test your MX record and your ability to send mail from your Exchange Online organization by using the Verify MX Record and Outbound Connector Test at Office 365 > Mail Flow Configuration in the Microsoft Remote Connectivity Analyzer. Scope: If you need to route inbound internet mail to your on-premises Exchange organization, Domains needs to include all email domains that are used in your on-premises organization. You can use the value asterisk (*) to also route all outbound internet mail through the on-premises organization. If the connectors are configured incorrectly, your Exchange administrator needs to rerun the Hybrid Configuration Wizard in the on-premises Exchange organization.